Assistant Coordinator of Span 101/Instructor, August 1999 – December 2000 University of Hawai‘i at Mānoa Department of Languages and Literatures of Europe and the Americas. 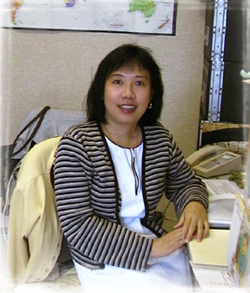 Coordinator of Span 101/Instructor, August 1998 – May 1999 University of Hawai‘i at Mānoa Department of European Languages and Literature. Assistant Coordinator of Span 101/Instructor, January 1997 – May 1998 University of Hawai‘i at Mānoa Department of European Languages and Literature. Instructor, August 1993 – December 1997 University of Hawai‘i at Mānoa Department of European Languages and Literature. Graduate Teaching Assistant, August 1990 — May 1993 University of Hawai‘i at Mānoa Department of European Languages and Literature.